OXFORD, Miss. – For the first time this season, No. 17 Ole Miss heads into a conference series where the opponent is unranked. That might be a good time for a trap after a series split with ranked South Carolina and huge series wins over all-ranked Arkansas, Florida and Kentucky–and with rival Mississippi State waiting next week in Starkville. But on Wednesday, the 17th-ranked Rebels learned a lesson they will likely take with them into this weekend – there are no easy games. 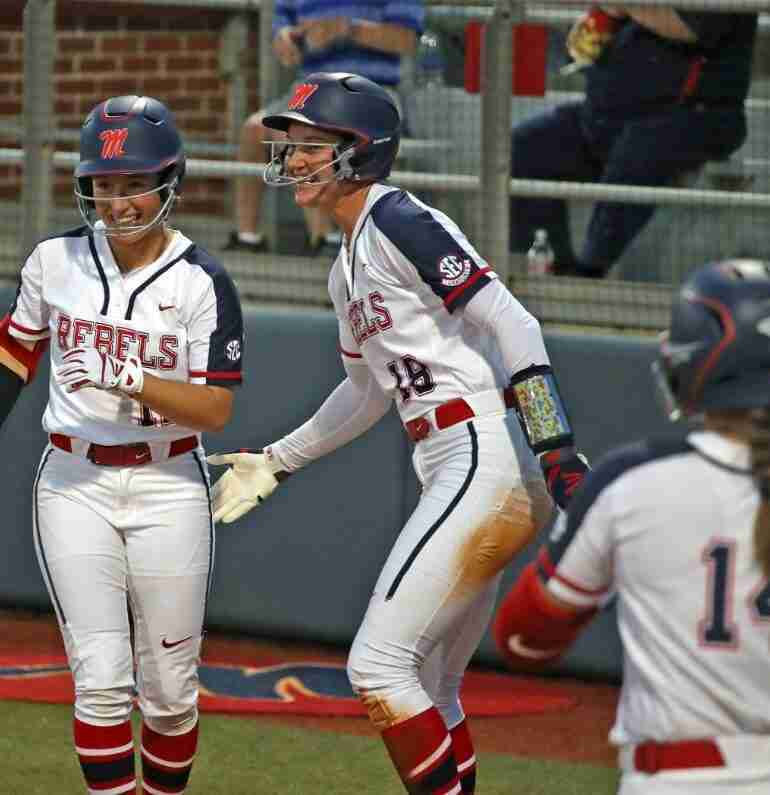 UAB came to Oxford Wednesday and gave the Rebels all they could handle as Ole Miss (28-10, 7-4 Southeastern Conference) took a 3-2 win in extra innings. By the way, UAB was unranked as well, a fact that probably has not escaped the Rebels as they head into a weekend set with unranked Mizzou. Because of inclement weather expected on Saturday, Ole Miss and Missouri will play a doubleheader Friday, with game one scheduled for 3 p.m. and the nightcap set for 6 p.m. Sunday’s game is scheduled for 1 p.m.
UAB came into the midweek game 15-22 on the year but jumped out to a 2-0 lead. 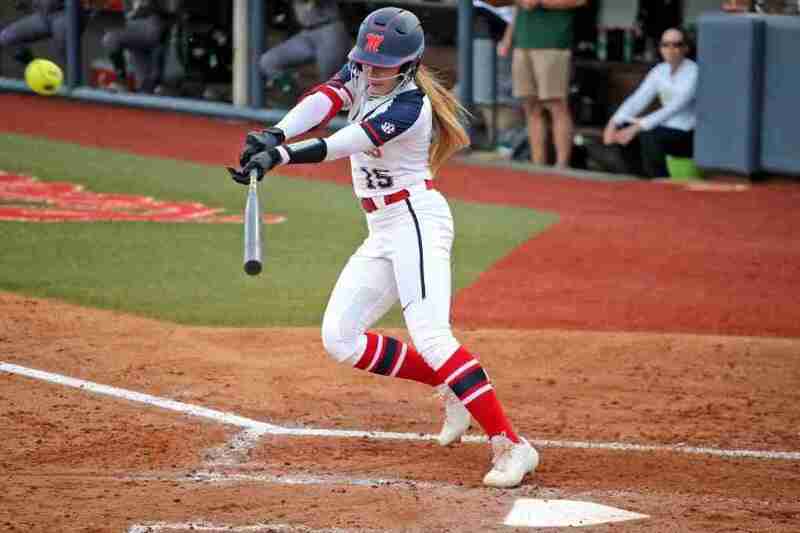 Ole Miss had only one hit in regulation, a Brittany Finney single, but scored single runs in the fourth and sixth to send the game into extra innings. After holding the Blazers scoreless in the top of the eighth, Ole Miss rallied for the win. The Rebels loaded the bases after Finney drew a four-pitch walk and it was followed by back-to-back singles from Autumn Gillespie and Tate Whitley. Mikayla Allee then drew the game-winning walk. Finney (11-5) picked up the win after throwing two innings in relief. Ava Tillman pitched six innings for Ole Miss, striking out two, but walking one and hitting three batters. Mizzou is 6-6 in SEC play this season, just 1 ½ games behind Ole Miss, but the Tigers have a knack for saving their best for the best. Missouri has knocked off more ranked teams than any squad in the conference. The Tigers swept Kentucky, won two against Georgia, one over Tennessee and they have an out-of-conference win over Arizona State. The Tigers have two hitters with .400-plus averages. Jazmyn Rollin leads Missouri at .410 and Abby George is hitting an even .400. 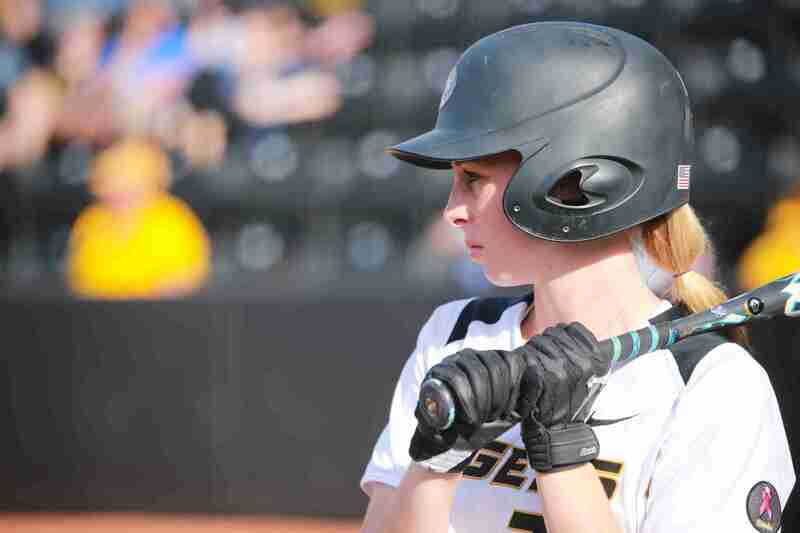 Sophomore Kim Wert has provided the power with 15 home runs, just five shy of the Mizzou record. She is one of just six SEC players with 15 or more dingers and one of only 12 in the nation. Fifth-year senior Madi Norman leads the pitching staff with a 2.72 earned run average on her way to an 11-7 record and a team-high 81 strikeouts. Cassie Gasper has contributed a 9-4 record, while junior Eli Daniel has picked up four saves. A KESSINGER WHO’S A TIGER? Mizzou’s roster features a name familiar to Ole Miss fans. The Tigers boast 2018 second-team All-SEC performer Cayla Kessinger. She is a native of Saugus, Calif., but she is a relative of the Kessingers from Ole Miss. 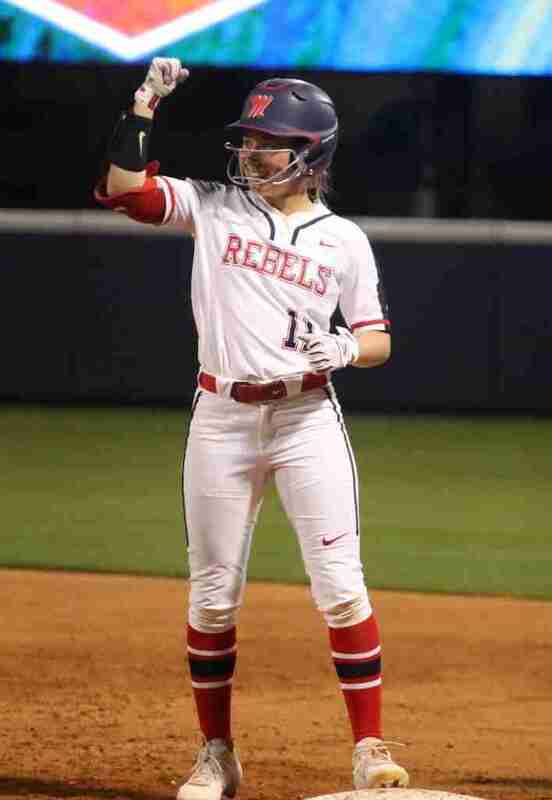 On her father’s side of the family, she is related to former stars Don Kessinger, his sons Keith and Kevin, along with current Rebel baseball player, Grae. This weekend the clan has plans to get together for the first time in their lives. Cayla does have a little explaining to do. She says she chose Missouri over Arizona State, Georgia Tech, Northwestern, Oregon State, Virginia, South Carolina and yes, Ole Miss. A trio of Rebels are hitting the ball extremely well. Kylan Becker still leads the team with a .456 average, while Tate Whitley follows at .351 and Abbey Latham is hitting .345. Latham has ripped a team-high nine doubles to go with her seven home runs, while Becker leads the team with nine triples. 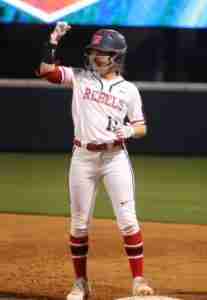 Jessica Puk paces the Rebels with eight home runs. Finney and Molly Jacobsen have provided a solid one-two punch in the circle. Finney is 11-5 with a 2.05 earned run average. Jacobsen is 10-3 with a 1.79 ERA and she leads the team with 107 strikeouts in 101 2/3 innings. HOME AT HOME AND ON THE ROAD: Ole Miss is 15-2 in Oxford this season. Mizzou is 6-4 on the road. CHANGE IN SCHEDULE: Rain is expected to roll into Oxford Saturday, so the schedule has been altered to appease Mother Nature. The teams will play a doubleheader Friday, with game one scheduled for 3 p.m. and the nightcap set for 6 p.m. Sunday’s game is scheduled for 1 p.m.
STREAKS: Each team comes into the weekend riding three-game winning streaks. THE SERIES: Ole Miss took 2-of-3 from the Tigers in 2017, but Mizzou holds an 11-3 all-time edge. Steve Barnes joins The Rebel Walk staff as a senior writer and brings a trifecta of journalistic experience. As a writer, he has covered college sports for Rivals.com, Football.com and SaturdayDownSouth.com as well as served as a beat writer for various traditional newspapers. He has been a broadcaster for arena football and several national tournament events for the National Junior College Athletic Association as well as hosting various shows on radio. A former sports information director at Albany (Ga.) State University and an assistant at Troy and West Florida, he has helped host many NCAA conference, regional and national events, including serving five years on the media committee of the NCAA Division II World Series. Barnes, a native of Pensacola, Fla., attended Ole Miss in 1983-84, where his first journalism teacher was David Kellum. The duo has come a long way since that time. He will bring a proven journalistic track record, along with a knack for finding the out-of-the-ordinary story angles to The Rebel Walk. Barnes continues to reside in Pensacola a mere ten minutes from the beach because he does have taste and a brain.